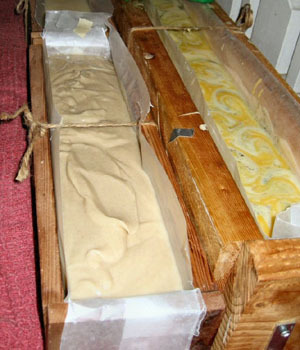 Our baseline of cold processed soaps are hand-made in small batches with olive, coconut, palm and organic soybean oil, lye, essential oils and/or oatmeal, wheat, and botanicals. 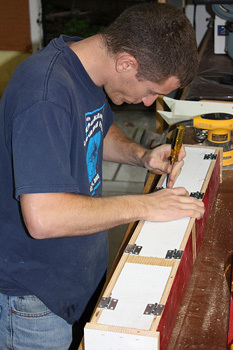 Additional organic ingredients are used when cost permits. 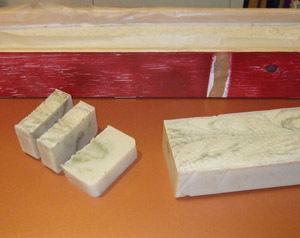 Our soap molds are handmade using reclaimed wood.